It’s all about Place Value (as I’m sure you’ve figured out!) and is intended for teachers of kindergarten through grade 2, with special accommodations for those who teach in combined grades settings. There are 230 pages of developmentally framed lessons designed to address the diversity in our primary classrooms. Each one supports students to represent and describe quantity, to compare and order sets, to use referents to estimate and to skip count. Lessons devoted to measurement — an ideal practical application of place value in the world — are also featured. Whole class lessons, centres tasks and games for practice allow students to connect these important concepts in a seamless way, and can be used both as a unit or spread throughout the year to build and consolidate understanding. Place Value in Primary: Developing Number Sense is available from my online store for $40 plus shipping. I hope you enjoy it! All the lines masters for games, written practice, flash cards, teacher materials and other instructional support are included in this 185 page resource. Organized by strategy, these lessons are designed to promote mastery of the facts, not just memorization! Teacher tips for using and organizing manipulatives, for supporting students who struggle and for working in a combined grades setting are also included. Matched to the WNCP and BC math curricula, this book is designed for classroom teachers of grades 1 to 3 and primary resource teachers. Select lessons are suitable for kindergarten students as well. Cost for the resource is $40 plus shipping. If you’re interested in getting your hands on a copy, click here to order online. Thanks for your ongoing support. I hope the book proves helpful. PS – Please click below to download select colour line masters drawn from the resource. All other line masters are included and are to be copied onto black and white, but these ones deserved a little colour…! Bridging through 10 and 20 – An online game! A while back I came across a fun game – Bridging Shuttle – that is aimed at students in grades 1-3. The game is intended to show, through the use of a space shuttle’s flight path, how mathematicians “bridge” through friendly numbers like 10, 20, 50 and 100 while adding. When we talk to students about “making ten and some more” from two addends, we are “bridging” through ten. It involves, of course, breaking numbers up into parts and putting them back together again! The image below shows the screen for the shuttle’s “flight path” called 8 + 4. Students begin at 8, type in the number that gets them to the next friendly number (2) and then hit the red button to proceed to the satellite. Next they type the number to take them the rest of the way – (2 again) and press the next red button to land. Consider modeling the action of the space shuttle with ten frames with your students to consolidate the process… This game uses only digits and so is more abstract. 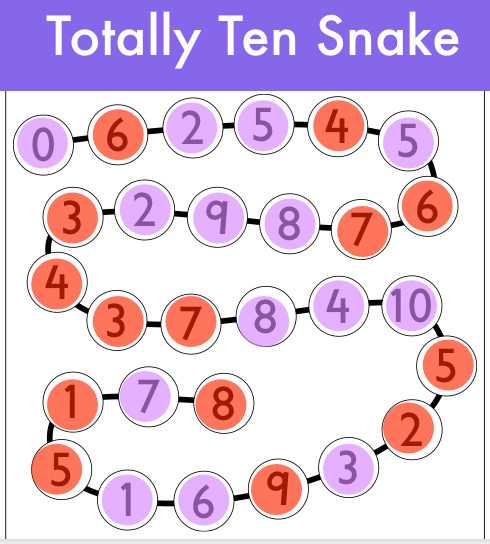 Try the harder versions of this game that bridge through 20 and 50! Well, I love this game a lot, and when played strategically it can engage kids across the grades (and even adults at my workshops!). That said, I thought it was worth re-jigging the game for children who are younger, and for those who need support to focus on quantity rather than on the digits as set out in the original BEAM game. 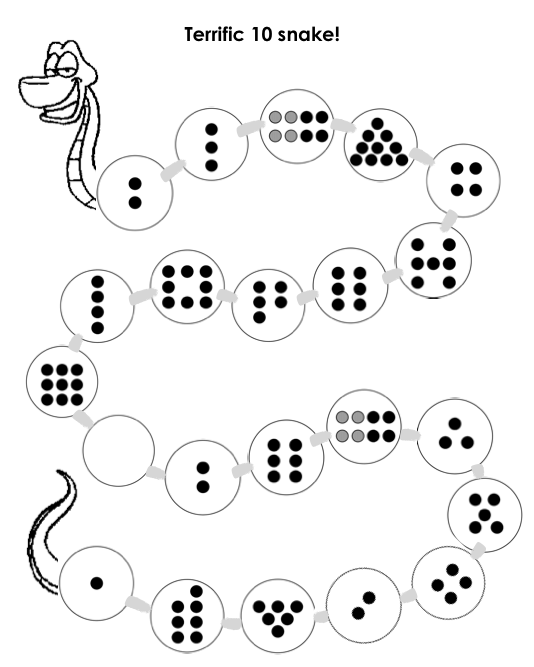 PS – If you’re looking for more ideas like this for K and grade 1, consider purchasing a copy of my book: Number Sense – A Combined Grades Resource for K, K/1 and Grade 1 Math Classrooms. It’s set up to support teachers in addressing the number PLOs in mindful ways while keeping their Kindergarten and Grade 1 students together. Games, tasks, problems and meaningful practice opportunities are included in English and in French. To order online, click here.